It’s that time of year again — Content Marketing World! It’s Monday evening, and Cleveland has been over taken by content marketers. EGHADS! To quote Drew Carey, “CLEVELAND ROCKS!” However, with a conference full of content marketers, how do you navigate through all the tweets and Instagrams to actually meet people…and wait for it…remember who you have meet IRL? 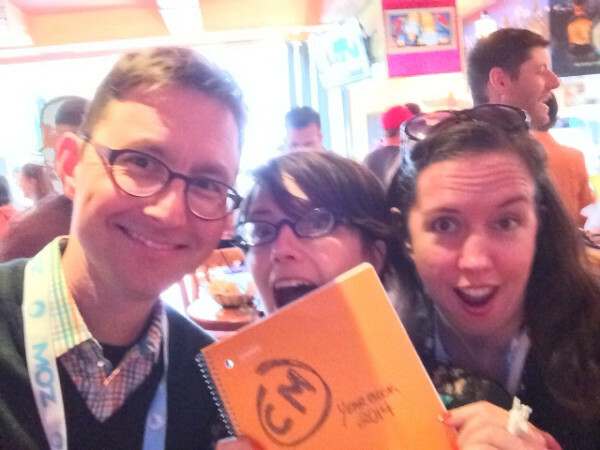 Well…Andy Crestodina of Orbit Media came up with an excellent strategy last year, the CMWorld Yearbook. It was such a hit last year, that Andy has brought it back this year (with a lil’ bit of pleading and favor granting that is). Since this is such a big project, he needed a little help, so @SFErika and I have raised our hands (or should I say digital and IRL networking skills) to help. Let us take your photo and tweet it. If that doesn’t work, feel free to stalk tweet one of us to figure out where the #CMWyearbook is located.